Hyperglycaemia during pregnancy is associated with a range of adverse outcomes which can affect both mother and child, and can occur during pregnancy, childbirth or later in life. Due to physiological changes associated with pregnancy, women are at increased risk of developing diabetes, or having worsening glycaemic control if they have pre-existing diabetes. In December, 2014, the Ministry of Health released the Screening, Diagnosis and Management of Gestational Diabetes in New Zealand clinical practice guideline and some changes to testing for gestational diabetes are recommended. In this article, we summarise the recent Ministry of Health guidelines, with a focus on the role of the general practitioner in testing for undiagnosed diabetes early in pregnancy and monitoring for the development of type 2 diabetes after pregnancy. Pregnancy is a time of significant metabolic change when a woman’s physiology adapts to meet the challenges of gestation. Insulin sensitivity is decreased by as much as 50 to 60% during pregnancy, a level comparable to that seen in people with type 2 diabetes or impaired glucose tolerance.1 This change in insulin sensitivity is thought to be caused by endocrine signals from the growing placenta, and has evolved to aid fetal development.2 During pregnancy the mother’s pancreas typically responds with beta-cell and islet hyperplasia to enable greater insulin production and regulate blood glucose levels.1 Women who do not produce enough insulin to compensate for this transitory increase in insulin resistance develop gestational diabetes. These women often have risk factors for the development of type 2 diabetes and a higher level of insulin resistance before pregnancy.1 After childbirth, the insulin resistance associated with pregnancy usually resolves, as does the need for treatment, if this has been required. Maternal hyperglycaemia during pregnancy leads to fetal overgrowth (macrosomia), which is associated with an increased risk of difficulties in delivery (shoulder dystocia, third or fourth degree perineal tears, postpartum haemorrhage) and also a higher rate of caesarean section. Both maternal obesity and excessive gestational weight gain can cause macrosomia, independently of gestational diabetes. 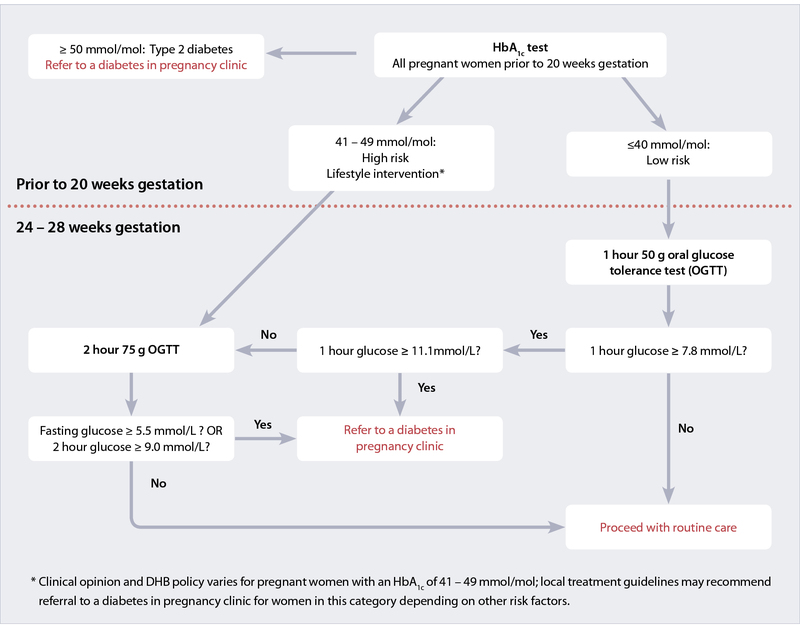 The more serious complications, such as congenital malformation and stillbirth, are largely confined to those women with previously unrecognised diabetes (usually type 2) that has come to light as “gestational diabetes” (Table 1). Which women are most at risk of diabetes during pregnancy? The prevalence of diabetes has increased in New Zealand over recent decades and is currently around 5.8%; approximately 90% of whom are people with type 2 diabetes.4, 7 Data from the New Zealand Adult Nutrition Survey 2008/09 show that 1.5 – 1.8% of women aged between 25 and 44 years reported a diagnosis of diabetes with another 1.1 – 2.0% having previously undiagnosed diabetes, highlighting that for every woman around childbearing age with diagnosed diabetes there is another with undiagnosed diabetes.8 In New Zealand from 2001 to 2012 there was an annual increase of 13.9% in the rate of gestational diabetes, with 4.9% of expectant mothers affected in 2012.4 It is not known how many pregnancies in New Zealand are to mothers with pre-existing diabetes. Increases in the rates of gestational diabetes and type 2 diabetes are likely to be due to changes in shared risk factors, such as physical inactivity and obesity. In women with known diabetes or those with a previous history of gestational diabetes, the ideal scenario is for pregnancies to be planned and glycaemic control prior to pregnancy to be as optimal as possible. Women with a history of gestational diabetes are at high risk of a having gestational diabetes during a subsequent pregnancy. Rates of recurrence from 30% to 84% have been reported, with the highest rates in women who needed insulin treatment during their previous pregnancy.4 For women with a previous history of gestational diabetes who report that they wish to become pregnant, HbA1c levels should be checked and lifestyle modification encouraged where appropriate so that their pregnancy begins with blood glucose levels as close to normoglycaemic as possible. There is, therefore, a sound evidence base to test for undiagnosed diabetes in women who become pregnant, in order to identify those who can benefit from intervention, and for women who have had gestational diabetes to be monitored postpartum and be offered advice and support to reduce their future risk of type 2 diabetes. Women with an HbA1c ≥ 50 mmol/mol should be referred to a diabetes in pregnancy clinic (Figure 1). Testing for pre-existing diabetes can be performed using HbA1c. Physiological changes which occur during pregnancy cause red blood cell turnover to increase and HbA1c levels decline, so HbA1c should be performed prior to 20 weeks’ gestation to improve accuracy.4 Whenever testing for diabetes using HbA1c, clinicians should keep in mind that some clinical conditions can affect HbA1c levels and give misleading results (see: Factors affecting the reliability of HbA1c testing). HbA1c test is most easily done as part of the first antenatal blood test screen. If a patient is seen in general practice after they have enrolled with a lead maternity carer (LMC), check that the first antenatal screen, including HbA1c, has been completed. HbA1c testing in early pregnancy will identify women with probable pre-existing diabetes (HbA1c ≥50 mmol/mol) but also creates a new diagnostic entity – that is women with an HbA1c of 41 to 49 mmol/mol. The HAPO study showed that mothers with elevated glycaemia below the threshold for diagnosing diabetes are at risk of some adverse pregnancy outcomes so these women should be encouraged to adopt lifestyle measures to reduce their risk of developing gestational diabetes and the adverse pregnancy outcomes associated with elevated glycaemia (see: “Lifestyle approaches”). A recently published opinion piece argues that women with an HbA1c ≥ 41 mmol/mol should be referred immediately for management to a diabetes in pregnancy clinic (rather than just those with an HbA1c ≥ 50 mmol/mol).15 There is as yet no evidence from randomised controlled trials, however, that earlier pharmacological intervention in these pregnancies improves outcomes (see: “Research into gestational diabetes testing in New Zealand”). With rates of both type 1 and type 2 diabetes increasing in New Zealand, and maternal age at pregnancy increasing, it is becoming more likely that clinicians will have under their care women with diabetes who become pregnant. In addition to blood glucose monitoring with the aim of meeting recommended treatment targets (see: “What are the treatment targets?”) these women usually require extra testing during pregnancy, in particular for retinopathy and nephropathy. Diabetic retinopathy can progress during pregnancy.5 Women with diabetes who become pregnant should undergo retinal photography during the first trimester, unless they have had this performed in the previous three months.5 Follow-up ophthalmology examinations during pregnancy may be indicated depending on the degree of retinopathy. Ministry of Health guidelines now recommend that oral glucose testing later in pregnancy (at 24 to 28 weeks) be tailored to the patient’s early HbA1c results. This testing would usually be organised by the midwife. Most women will be at low risk of developing gestational diabetes and can undergo a 50 g oral glucose challenge test. This test has a good negative predictive value, so that women who test negative are at low risk of developing hyperglycaemia and the associated risks of adverse pregnancy outcomes. Therefore, for most women the burden of testing is limited to a one hour test. Women who test positive on the 50 g oral glucose challenge should undergo a 75 g two hour oral glucose tolerance test. Women who are at increased risk of developing gestational diabetes (initial HbA1c results of 41 – 49 mmol/mol) should proceed directly to a 75 g two hour oral glucose tolerance test without undergoing an initial 50 g oral glucose challenge test (Figure 1). Women who have pre-existing diabetes or have probable undiagnosed diabetes detected with initial HbA1c screening should be under the care of a diabetes in pregnancy team. Further oral glucose tolerance testing is unlikely to be indicated. One scenario which is not covered by the Ministry of Health guidelines is which testing procedure should be performed for women who do not have an initial HbA1c result available. Given that an HbA1c test can be ordered with the first antenatal blood tests it is likely that women without an HbA1c measurement in early pregnancy also have a lower level of engagement with health services, and as a result may be at increased risk of adverse pregnancy outcomes. A reasonable course of action would be to request that these women undergo a 75 g two hour oral glucose tolerance test. A healthy diet and regular exercise are the cornerstones of preventing hyperglycaemia in all people, regardless of whether they are pregnant. All women with diabetes during pregnancy should be offered specialist dietary advice.4 A combined dietary and exercise approach is recommended which emphasises a balanced, healthy diet and encourages patients to be active for at least 30 minutes a day most days of the week unless there are clinical contraindications to physical activity. Limiting strenuous exercise may be necessary as pregnancy progresses and women should consult with their LMC or diabetes in pregnancy team regarding appropriate physical activity. *N.B. These ranges are for singleton pregnancies. Larger increases in weight are acceptable for women with multiple fetuses. Following a pregnancy affected by gestational diabetes, maternal hyperglycaemia may either resolve completely, or persist – either as intermediate hyperglycaemia or as established diabetes. Women with previous gestational diabetes have an approximately six to eight-fold higher risk of developing type 2 diabetes than women who have been pregnant without diabetes, and may be at increased risk of developing type 1 diabetes.4, 5 Five year incidence rates of type 2 diabetes of 18% to 50% have been reported in women with a history of gestational diabetes.21 The best approach is for preventive measures to begin as soon as the mother can manage. Clinicians should aim to assess the glycaemic status of all women who have had gestational diabetes. Research suggests that many women with a history of gestational diabetes in New Zealand are not subsequently tested. Provide diabetes prevention advice regarding diet and exercise measures. Metformin treatment may be considered. * In most cases this will be type 2 diabetes; occasionally patients with early stage type 1 diabetes or rarely monogenic diabetes (caused by single gene mutations) may be encountered. Metformin: Women with an HbA1c of 41 – 49 mmol/mol who have not been successful in reducing their level of glycaemia with lifestyle measures could be offered metformin.4 Data from the United States Diabetes Prevention Program study suggests a number needed to treat (NNT) of seven patients for ten years to prevent one case of type 2 diabetes.24 Clinicians may wish to consult an endocrinologist or diabetes specialist when considering this treatment approach. Clinicians in any area of New Zealand may consider referring their pregnant patients to the GEMS study, currently being conducted by the Liggins Institute at the University of Auckland. This study aims to randomise pregnant females to undergo testing and treatment according to the New Zealand criteria for the diagnosis of gestational diabetes or the International Association of Diabetes and Pregnancy Study Group (IADPSG) criteria in order gather better evidence regarding which criteria produce the best outcomes for mother and child. The IADPSG recommend diagnosing gestational diabetes at lower cut-offs of oral glucose tolerance test results than the New Zealand guidelines. 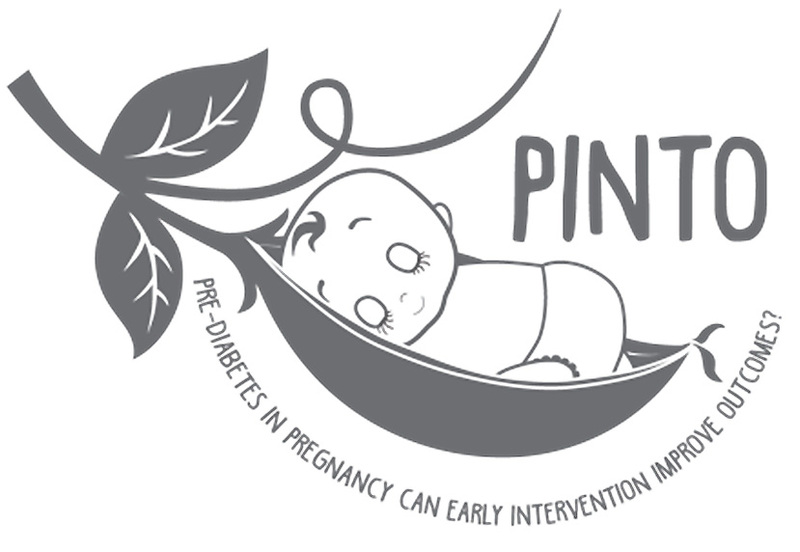 The aim of the PINTO trial is to examine whether blood glucose monitoring and initiating treatment for hyperglycaemia in women with HbA1c levels between 41 – 49 mmol/mol in early pregnancy, can improve health outcomes compared with lifestyle advice and follow up gestational diabetes screening at 24 – 28 weeks’ gestation. The first phase of the trial is a feasibility study which will inform the main randomised controlled trial. Researchers will be recruiting women in the National Woman’s Hospital (Auckland) or Christchurch Women’s Hospital catchment areas from 1 October, 2015. General practitioners in these areas should refer women with an HbA1c ≥ 41mmol/mol directly to their local diabetes in pregnancy clinic as soon as possible, where dietary and weight gain advice, triage, and consent will take place. A mail out to general practitioners will take place prior to this date, to provide further information about the study. It is hoped that this study will show that early intervention in this patient group, including blood glucose monitoring and optimisation of blood glucose levels through dietary measures and medicines as required, will reduce pre-eclampsia, neonatal morbidity and mortality without causing harm. It is also hoped that the study will reduce inequalities in health-related outcomes for Māori and Pacific women, who have high rates of pre-diabetes and are the least likely to take up conventional screening for gestational diabetes. Thank you to Professor Tim Cundy, Endocrinologist, Auckland DHB and Professor of Medicine, University of Auckland and Dr Cam Kyle, Clinical Biochemist, Auckland for expert review of this article. Lacroix M, Kina E, Hivert M-F. Maternal/fetal determinants of insulin resistance in women during pregnancy and in offspring over life. Curr Diab Rep 2013;13:238–44. Burton GJ, Fowden AL. The placenta: a multifaceted, transient organ. Philos Trans R Soc Lond B Biol Sc 2015;370:20140066. Metzger BE, Lowe LP, et al with HAPO Study Cooperative Research Group. Hyperglycemia and adverse pregnancy outcomes. N Engl J Med 2008;358:1991–2002. Ministry of Health (MoH). Screening, diagnosis and management of gestational diabetes in New Zealand. MoH, 2014. Available from: www.health.govt.nz (Accessed Jul, 2015). National Institute for Health and Care Excellence (NICE). Diabetes in pregnancy: management of diabetes and its complications from preconception to the postnatal period. NICE, 2015. Available from: www.nice.org.uk/guidance/ng3 (Accessed Jul, 2015). Poolsup N, Suksomboon N, Amin M. Effect of treatment of gestational diabetes mellitus: a systematic review and meta-analysis. PLoS ONE 2014;9:e92485. Ministry of Health (MoH). 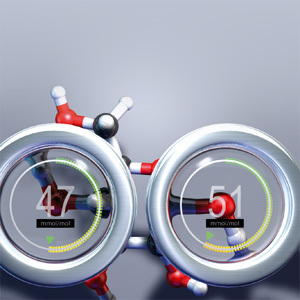 Virtual Diabetes Register (VDR). MoH, 2015. Available from: www.health.govt.nz (Accessed Jul, 2015). Coppell KJ, Mann JI, Williams SM, et al. Prevalence of diagnosed and undiagnosed diabetes and prediabetes in New Zealand: findings from the 2008/09 Adult Nutrition Survey. N Z Med J 2013;126:23–42. The Royal Australian and New Zealand College of Obstetricians and Gynaecologists (RANZCOG). Vitamin and mineral supplementation and pregnancy. RANZCOG, 2014. Available from: https://www.ranzcog.edu.au/college-statements-guidelines.html (Accessed Jul, 2015). Buckley BS, Harreiter J, Damm P, et al., on behalf of the DALI Core Investigator Group. Gestational diabetes mellitus in Europe: prevalence, current screening practice and barriers to screening. A review. Diabet Med 2012;29:844–54. Simmons D, Rowan J, Reid R, et al., National GDM Working Party. Screening, diagnosis and services for women with gestational diabetes mellitus (GDM) in New Zealand: a technical report from the National GDM Technical Working Party. N Z Med J 2008;121:74–86. Ministry of Health (MoH). National maternity clinical guidance. MoH, 2014. Available from: www.health.govt.nz/our-work/life-stages/maternity-services/national-maternity-clinical-guidance (Accessed Jul, 2015). Royal Australian and New Zealand College of Obstetricians and Gynaecologists (RANZCOG). Diagnosis of gestational diabetes mellitus (GDM) and diabetes mellitus in pregnancy. Victoria, Australia: RANZCOG, 2014. Available from: www.ranzcog.edu.au/doc/diagnosis-of-gestational-diabetes-mellitus-gdm-c-obs-07.html (Accessed Jul, 2015). Nankervis A, McIntyre H, Moses R, et al. ADIPS consensus guidelines for the testing and diagnosis of hyperglycaemia in pregnancy in Australia and New Zealand. Australasian Diabetes in Pregnancy Society, 2014. Available from: www.ranzcog.edu.au/doc/adips-gdm-guidelines.html (Accessed Jul, 2015). Rowan J, Allen H, Budden A, et al. New Zealand National GDM Guidelines: an alternative view of some good practice points. Aust N Z J Obstet Gynaecol 2015;55:17–20. World Health Organisation (WHO). Use of glycated haemoglobin (HbA1c) in the diagnosis of diabetes mellitus. Geneva: WHO, 2011. Available from: www.who.int/diabetes/publications/diagnosis_diabetes2011/en/ (Accessed Jul, 2015). New Zealand Guidelines Group (NZGG). New Zealand Primary Care Handbook 2012. Wellington: NZGG, 2012. Available from: www.health.govt.nz/publication/new-zealand-primary-care-handbook-2012 (Accessed Jul, 2015). SOMANZ: Society of Obstetric Medicine of Australia and New Zealand. Guideline for the management of hypertensive disorders of pregnancy. Sydney, NSW: SOMANZ, 2014. Available from: http://somanz.org/downloads/HTguidelineupdatedJune2015.pdf (Accessed Jul, 2015). Institute of Medicine, National Research Council of the National Academies. Weight gain during pregnancy: re-examining the guidelines. Washington, DC: The National Academies Press, 2009. Available from: http://iom.nationalacademies.org/Reports/2009/Weight-Gain-During-Pregnancy-Reexamining-the-Guidelines.aspx (Accessed Jul, 2015). American Diabetes Association. Standards of medical care in diabetes. Diabetes Care 2015;38:S1–93. Kim C, Newton KM, Knopp RH. Gestational diabetes and the incidence of type 2 diabetes. A systematic review. Diabetes Care 2002;25:1862–8. Middleton P, Crowther CA. Reminder systems for women with previous gestational diabetes mellitus to increase uptake of testing for type 2 diabetes or impaired glucose tolerance. Cochrane Database Syst Rev 2014;3:CD009578. Mohammad MA, Haymond MW. The magic of mother’s milk. Diabetes 2012;61:3076–7. Aroda VR, Christophi CA, Edelstein SL, et al., Diabetes Prevention Program Research Group. The effect of lifestyle intervention and metformin on preventing or delaying diabetes among women with and without gestational diabetes: the Diabetes Prevention Program outcomes study 10-year follow-up. J Clin Endocrinol Metab 2015;100:1646–53.